Tension pervaded the waterways of the oil-rich Niger Delta region yesterday, when a company of soldiers took over the palatial guesthouse of ex-Niger Delta warlord, Government Ekpemupolo, also known as Tompolo, in Gbaramatu Kingdom, restricting the movement of the paramount ruler to his palace. Owing to the invasion, the community looked like a ghost town, even as it was learnt that institutions providing essential services, including health facilities, schools and the jetty from which many businesses in the area are transacted, were deserted in order to avoid confrontation with the troops. 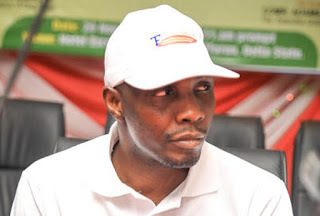 Tompolo has repeatedly denied stoking the return of violent agitations in the region, but many believe that the ex-militant cannot extricate himself from the ongoing crisis, which has cut Nigeria’s oil exports by about 50 per cent. The growing unease in Oporoza, Gbaramatu, Tompolo’s hometown, coincided with the visit yesterday of the Chairman of the Presidential Amnesty Office, Gen. Paul Boroh (rtd), who told the embattled king, William Ogoba Oboro Gbaraun II, (Akatakpe) Agadagba, that the federal government was deeply worried about the renewed violent activities of the militants. The Commander of the 4 Brigade, Benin, Brigadier General Farouk Yahaya, had told journalists on Sunday, while parading the suspects that the army recovered 28 detonator cords, two pistols, 196 rounds of 7.62 special ammunition, one round of nine millimetre ammunition, a live cartridge and five daggers from the suspects. Other items found in the area, he said, were 15 handheld radio sets, 18 phones, 203 SIM cards, five swimsuits, two headlamps, a laptop, two iPads and a camera. During a guided tour of the community, only a couple of aged women were seen peeping from their hideouts when they saw the heavily armed soldiers in the community. In Tompolo’s guesthouse, which served as his temporary residence before he was declared wanted by the Economic and Financial Crimes Commission (EFCC), a company of soldiers numbering over 60 had taken over the white-coloured building. The current operation going on in the area in search of the Niger Delta Avengers, which has claimed responsibility for recent attacks on oil and gas facilities, and ostensibly to recover dangerous weapons was led by a captain from the 3 Battalion, Effurun Barracks of the Nigerian Army in Delta State. Once a beehive of transport-related activities, the waterways leading from Warri, through Egwa II, the oil facility earlier bombed by the militants in Kurutie, where Tompolo’s father hails from and down to Oporoza in Gbaramatu was a ghost of its former self as many residents had reportedly fled into the bush. A number of warships, it was observed, had also been deployed in the route leading directly to the ex-militant’s home and the palace, though soldiers did not directly lay siege to the palace which was first bombed in 2009 after some soldiers were reportedly attacked by the militants at the time. But as the military laid siege to Gbaramatu, Gen. Boroh, true to his promise to temporarily move his office to the Niger Delta region in order to engage the leaders on how to halt the destruction of oil facilities, told the distressed monarch during the meeting that the army would not willingly inflict pain on innocent citizens. “I am from the (presidential) villa in Abuja. I am here basically on a peace mission, sent by the federal government. It’s important enough, that’s why they asked me to come. “The activities happening in this our area now is affecting the economy of the country, they are affecting our land, it’s affecting all of us and the government is very concerned about it. That’s why they sent me. “We cherish peace and unity. The presence here of the military is to create peace. They didn’t come to molest anybody. They came to ensure stability. “I also have a military background, so when an order of this nature is given, it only acts as a deterrence to ensure that there is peace and people are not afraid of the army’s presence. “I have come so that there will be stability, not only here, but in the whole region. The soldiers are on a cordon-and-search operation. They have information about some weapons. The military didn’t come to beat up people. They are searching for weapons, which shouldn’t be in the hands of some people. “I have seen the documentation. They are not here to molest anybody,” Boroh explained to the traditional ruler while also querying why there was a resurgence of militancy in Gbaramatu. Before the traditional ruler and the amnesty boss went into a private meeting, Boroh, who had listened to his complaints, assured him that President Muhammadu Buhari was committed to restoring peace to the region and ensuring rapid development. “The good thing is that His Royal Highness is committed. These are the things that the government wants to hear to encourage it. (They want to know) that the kingdom is not an enemy to the government and that it supports the government and is able to key into governments programmes and policies. “The government’s commitment to the Niger Delta is enduring. In a few days’ time, on Thursday, to be precise, the president will be in Ogoniland to flag off the clean-up of the entire Niger Delta, starting from Ogoni. “When they finish in Rivers State, they will come to Bayelsa, Delta, Edo and Ondo States. The president has good intentions for our people. “You have to key in and deliberately show that truly you support development. This thing is affecting development. People who want to come and invest cannot even come in,” Boroh stressed. He also conveyed the concerns of the federal government over the onslaught on oil facilities, noting that the country was unhappy about the events of recent months.